Group from the secction of Leetsdale and Swickley area in Pittsburgh formed in 1953 by Charles”Bud”Polizotta(Lead-1st Tenor),Alvin”Chick”Ludovici(2nd Tenor),Jim Drake(Baritone) and Don Baron(Bass). 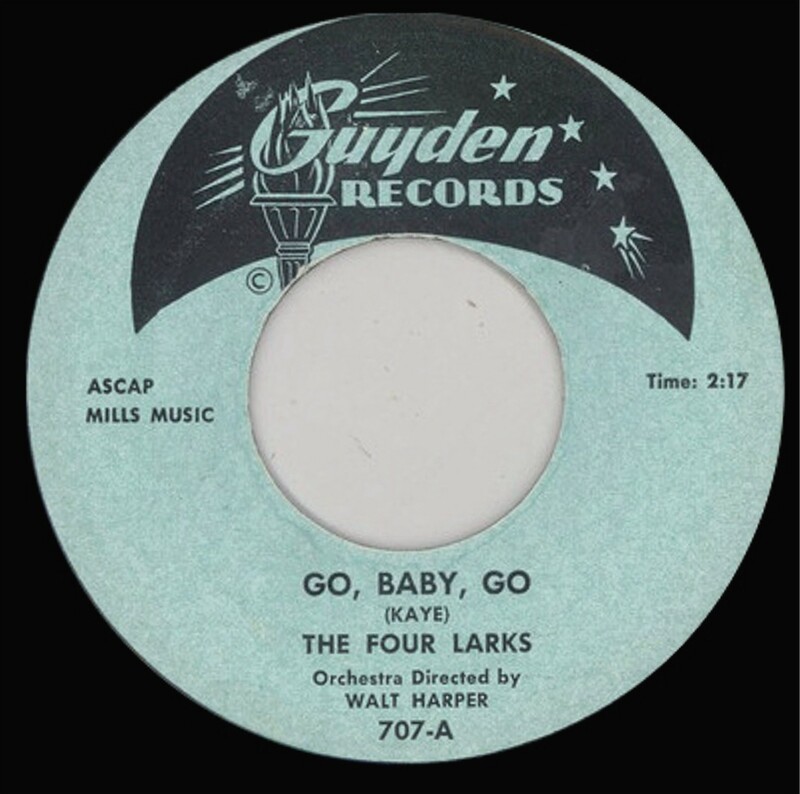 They signed WJAS Dj Barry Kaye as their manager who send the group to the philadelphia based label Guyden Records.In October 1954 The Four Larks recorded at KDKA radio’s recordin studio in Pittsburgh the sides_Go,Baby,Go/Night And Day. 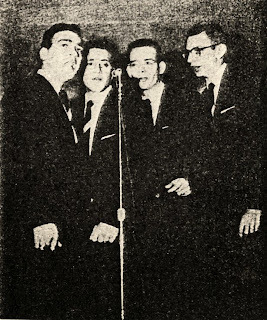 Both tunes lead by Polizotta. The label released the sides in November 1954 and the A Side have a good local Dj’s acceptacion with appearances in many Pittburgh shows but the group broke up in the early 1955. Above The Four Larks with Dj Barry Kaye. 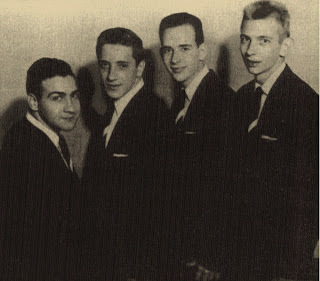 Jim Drake continue in the music bussines as music,arranger(work for Bobby Viton,The Skyliners,Johnny Jack...) and ocassional singer,he remained with The Tempos(see in this blog) until 1960 and arranged_Was I Dreaming. 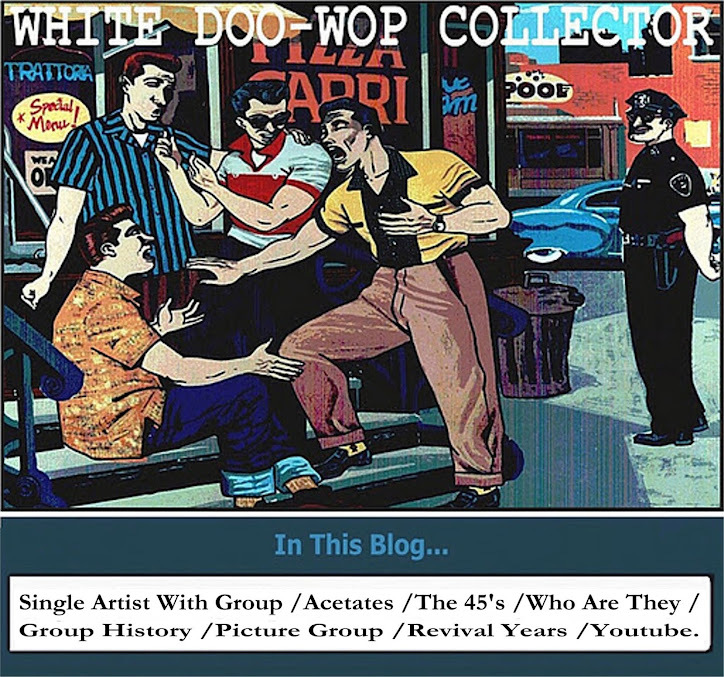 For The Dreamtones(see in this blog).